We are committed to bringing you the freshest in Bar & Bat Mitzvah entertainment. Our R&D team is currently working on a new package that will be SICK (in a good way)! Will I Pay the exact prices listed on the packages above? Probably not. MC Selection, date, time, and proximity can cause pricing to fluctuate down or up from the list price. In addition, we understand that our packages may not be exactly right for everybody. For this reason, we do accommodate specific requests to remove items in return for a price reduction. Some of these variable items include party props, party motivators, and dance risers. how should i plan & allocate my entertainment budget? For some, it may be appropriate to allocate the entire entertainment budget to one of the packages below and stop there. For most, it is beneficial to select a package that also allows the flexibility to utilize other services that may be called for. 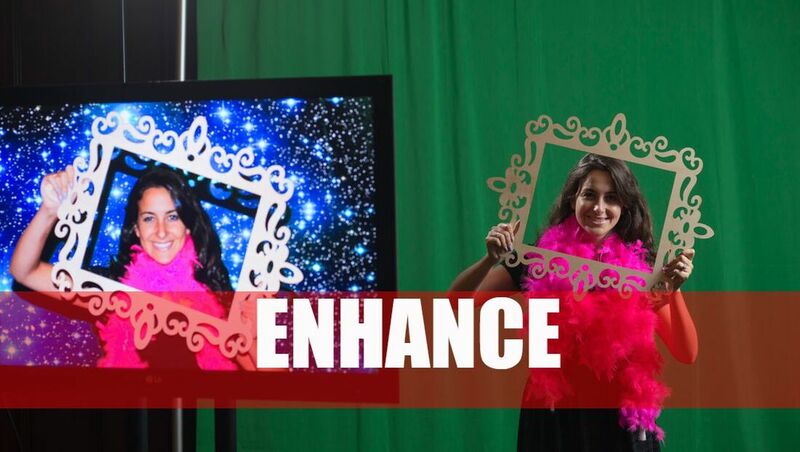 Game novelties, photobooths, and uplighting should always be considered but may not be right for everyone. No matter what your financial position, our decades of event planning experience are at your disposal. We are here to help you navigate your entertainment options and allocate your budget in the most effective way possible! can you define some of the package terminology? Master of Ceremonies (“MC”) – The entertainer on the microphone! Your MC will interact with your guests and remain on the dancefloor all night long. Your MC also acts as your event manager on-site and will work together with your venue/caterer/photographer etc. Disc Jockey (“DJ”) - The person playing the music! We will staff your DJ based on your MC selection. This person will remain behind the DJ table and will be happy to take requests! Party Motivator - Our version of a “dancer”, a party motivator creates a more interactive party. The motivator engages with both kids and adults and assist in line dances, games, passing out party props, etc. They help to provide longer dance sets. Worried some kids won’t want to dance? Our Motivator can be off the dancefloor with these guests and encourage them back to the action! Dance Risers - They elevate your guests and party motivators above the crowd so everyone can see them. The dance risers allow guests who are away from the dance floor, to still see and feel the energy of the party. Party Props - An assortment of hats, sunglasses, glow ropes, etc. The party motivators hand out party props to the kids on the dancefloor to “jump start” dance sets. The kids run onto the dance floor to receive them and instantly begin dancing. Adults love them as well! Do i need party motivator(s)? It is recommended (but not required) that you have (1) Party Motivator per 30 kids. This ensures the highest level of interaction and allows the MC to be more effective on and off of the dancefloor. CAn siagel help with more of the planning?